Mon – Sat 7 A.M. – 7 P.M. 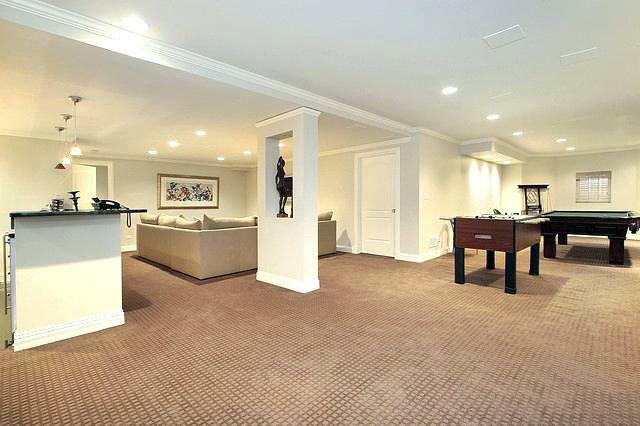 Probably the most under-utilized space in your home, the basement is a blank canvas ready to be transformed into just about anything you can imagine. Consider the amazing potential that lies beneath the main level of your home: home theater, game room, exercise room, or wine cellar. With over a decade of experience behind us and a team of expert design consultants, Excellence in Construction LLC., can help you every step of the way. We take pride in our reputation for exceeding client expectations by listening to your vision, creating designs specific to your needs and budget, providing expert consultation to maximize the potential of your space, and managing the project from start to finish. We are a full service, high touch remodeling firm serving the entire Kansas City metro area. From the initial consultation meeting all the way through the final walk through, you'll be working with one of the best remodeling and builders in the area. We have the experience and expertise to bring your dreams to life. Our entire process is collaborative and guided by you, the customer. We are committed to crafting the space you need and we promise the end will exceed your expectations.